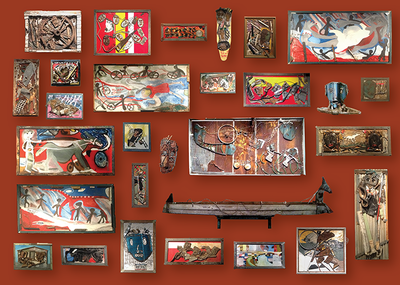 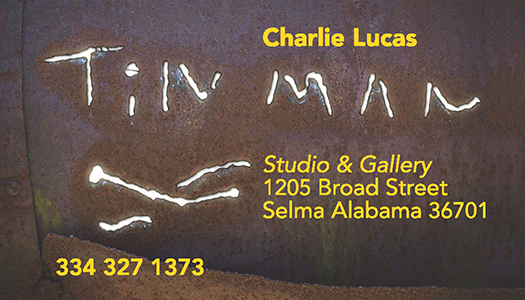 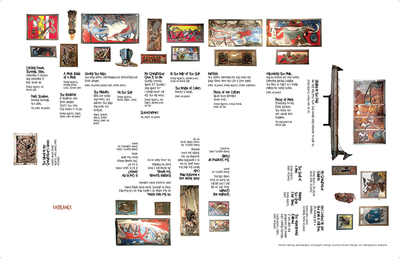 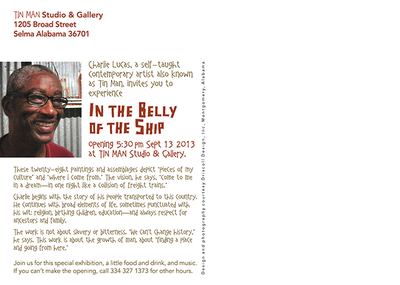 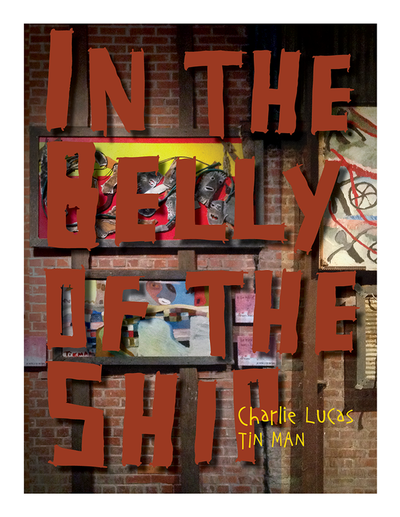 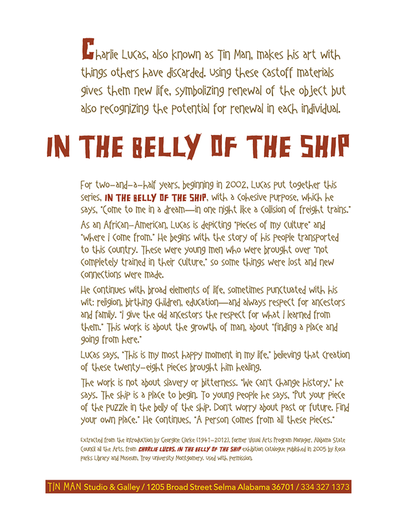 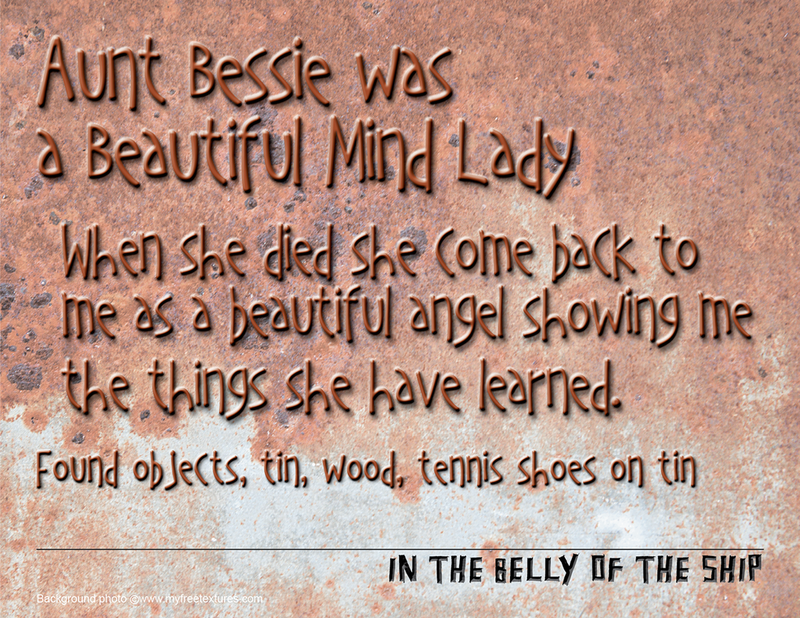 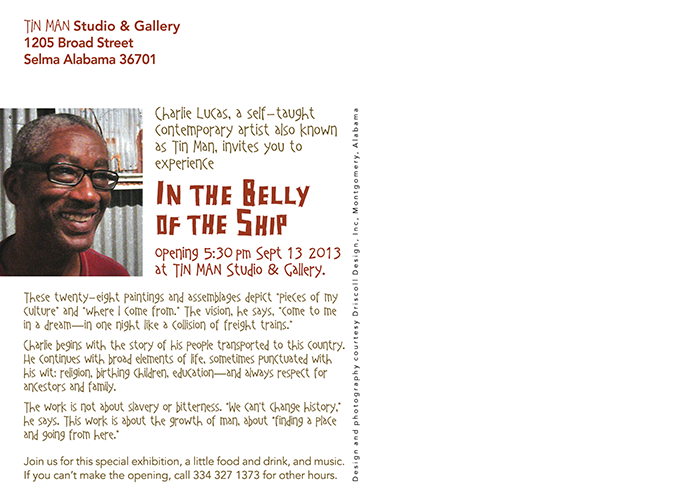 Design for cultural organizations - Driscoll Design Inc.
Exhibition graphics and print materials for In the Belly of the Ship, an exhibit by Alabama folk artist Charlie Lucas. Table-top exhibit for Fort Toulouse - Fort Jackson historic site; a teaching tool for archaeologists and site staff at public events. 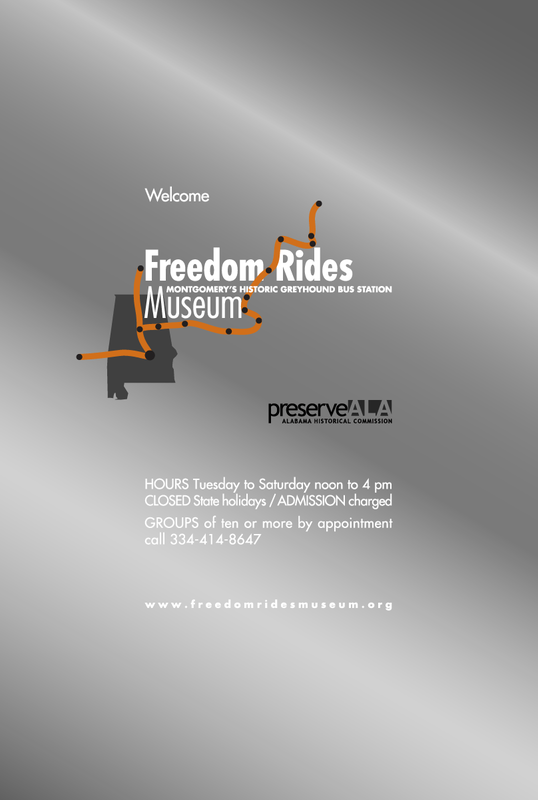 ​Catalogue for the Freedom Rides Museum's inaugural exhibition; art related to or inspired by the Freedom Rides helps the Museum tell the story. 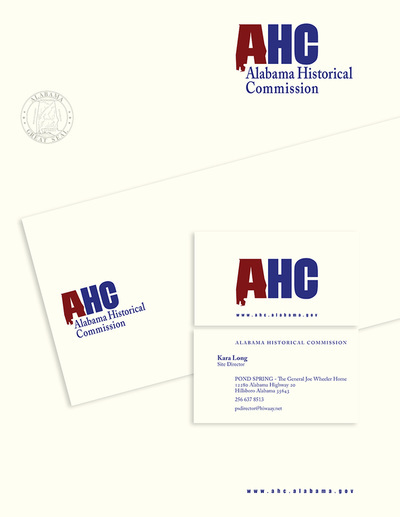 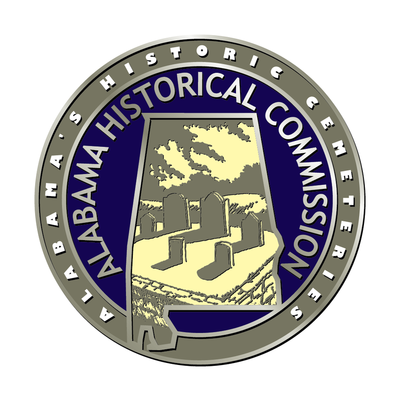 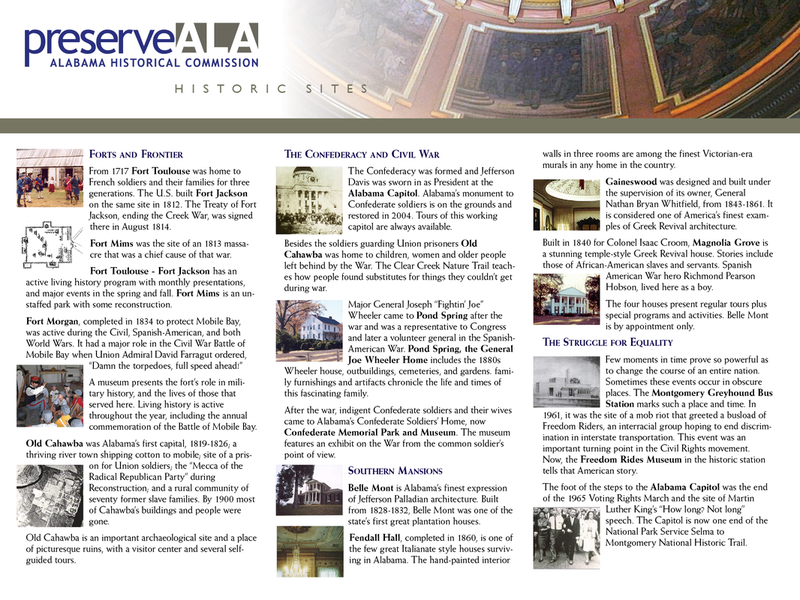 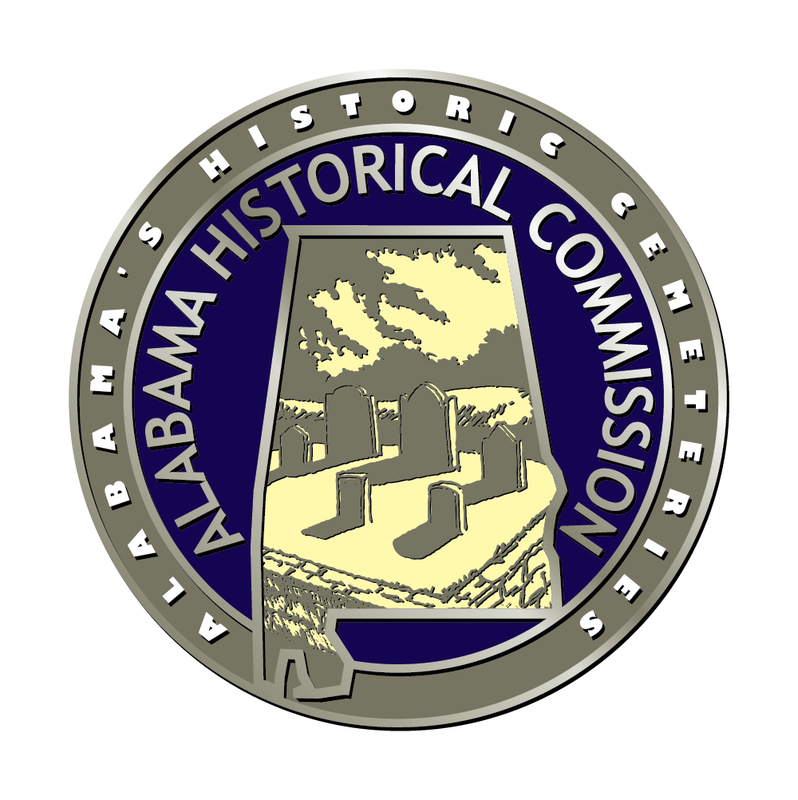 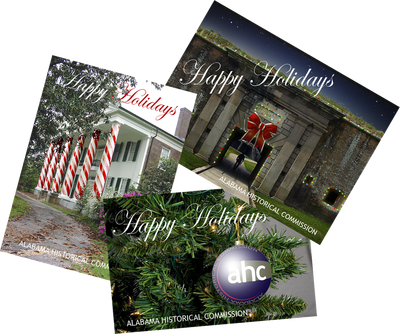 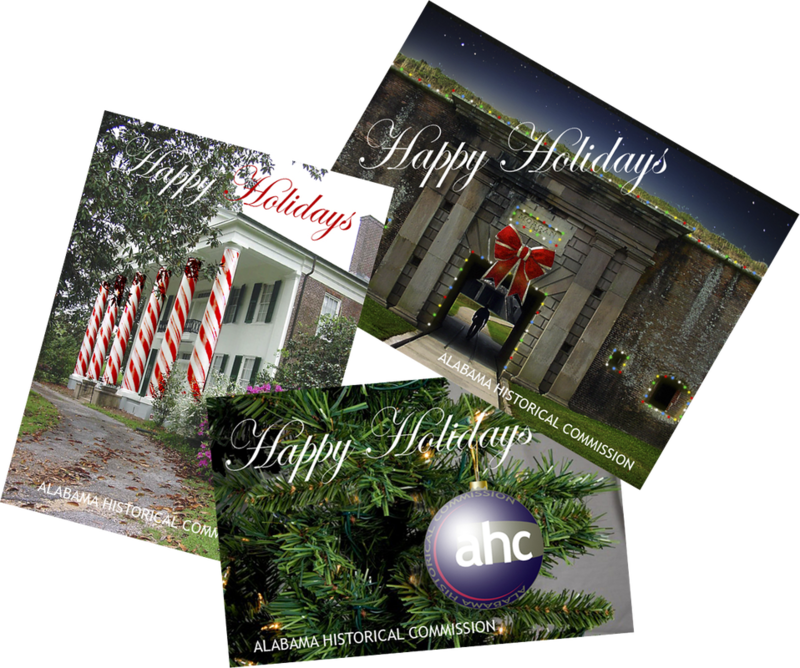 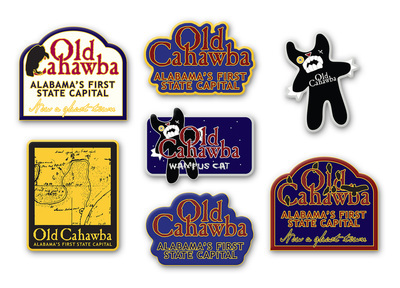 Brochure for Alabama Historical Commission historic sites and rack cards for three sites. 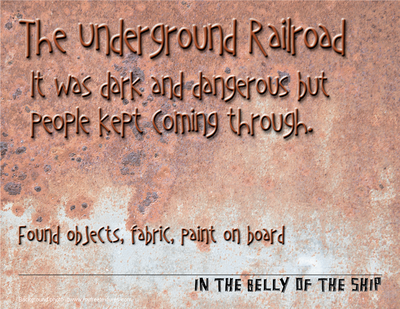 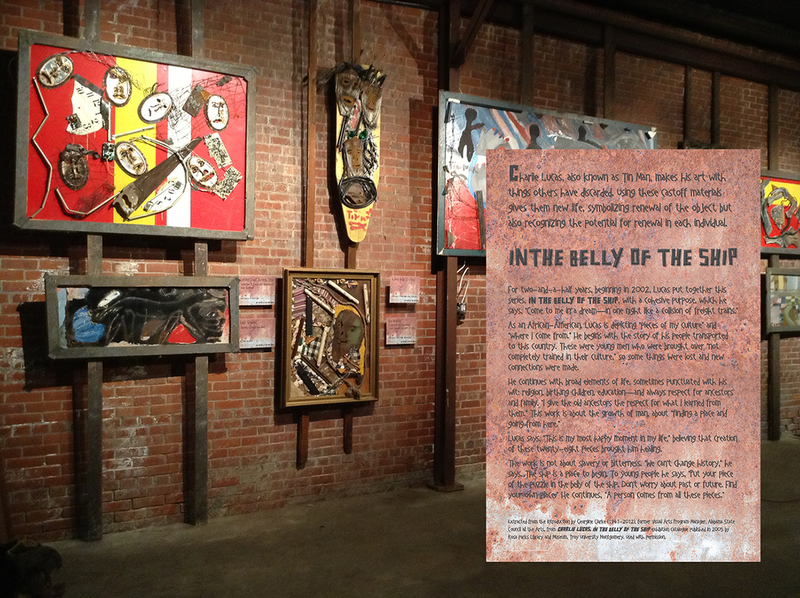 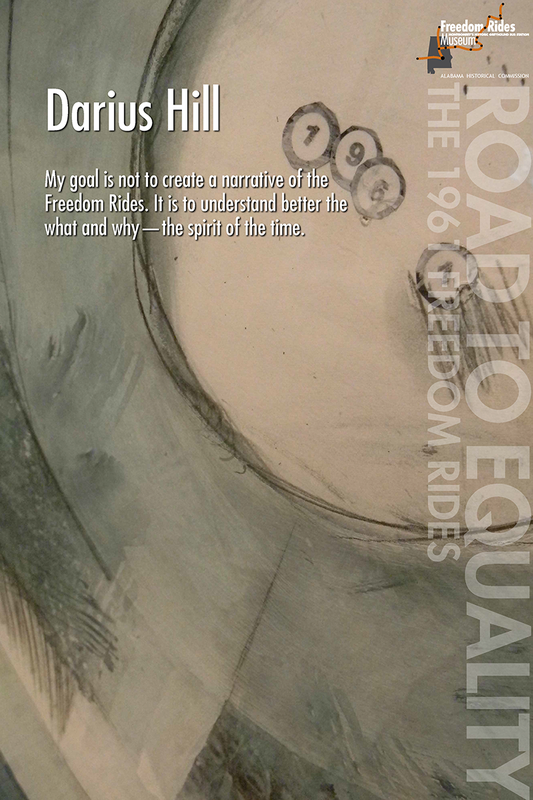 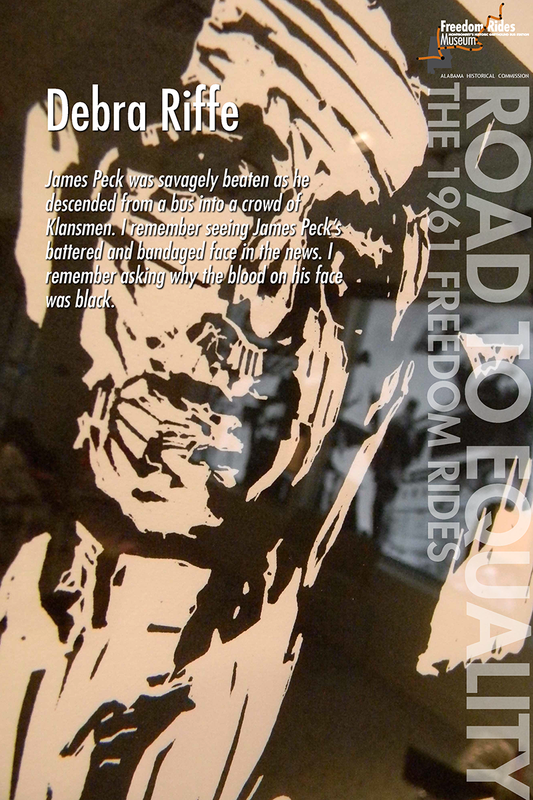 ​Promotional poster series (4 of 12) for the Freedom Rides Museum feature artist statements and details of art. 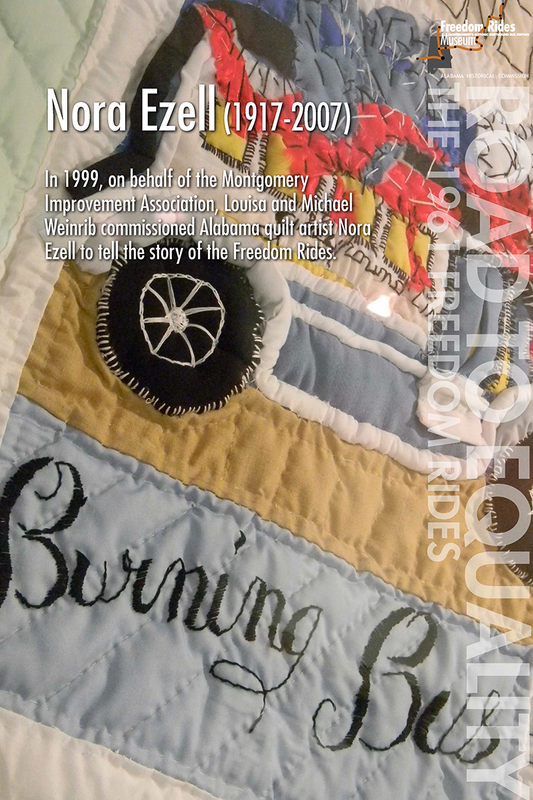 Fundraising brochure for Brierfield Historic Ironworks Park. 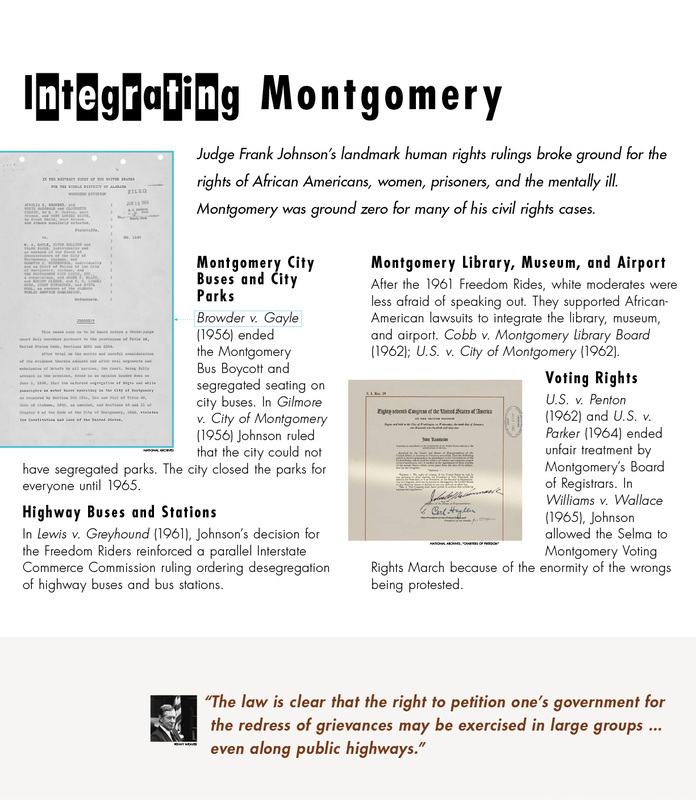 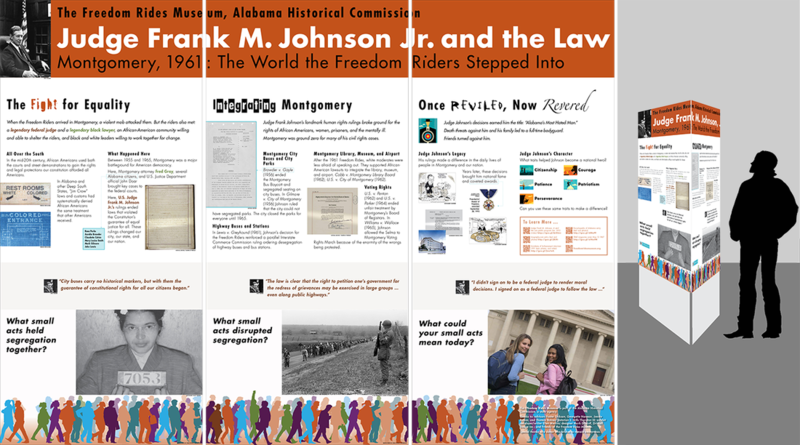 ​Judge Frank M. Johnson Jr. and the Law, a traveling exhibit for Montgomery Alabama schools designed for the Freedom Rides Museum. 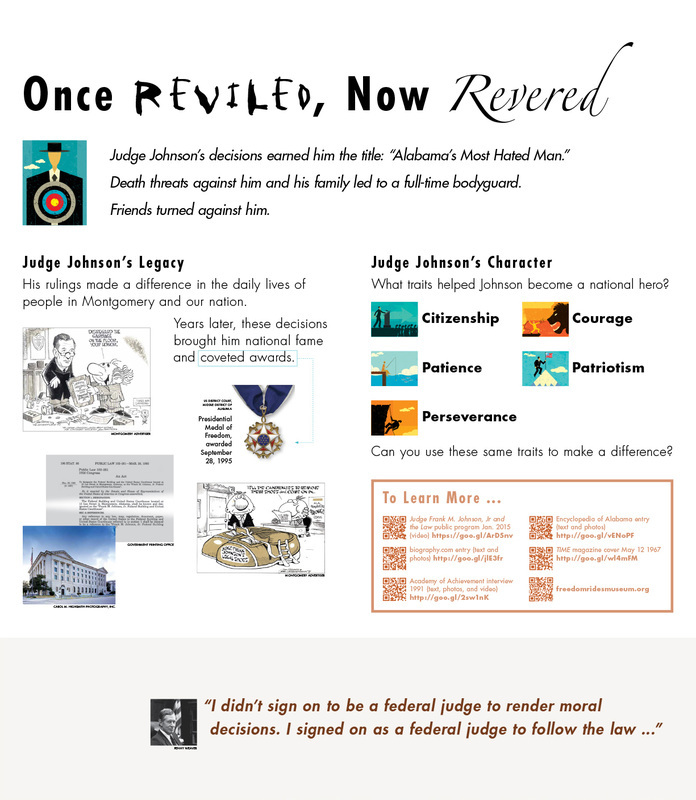 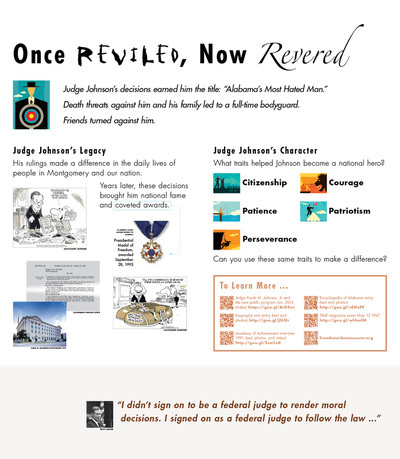 ​Judge Frank M. Johnson Jr. and the Law, panel details. 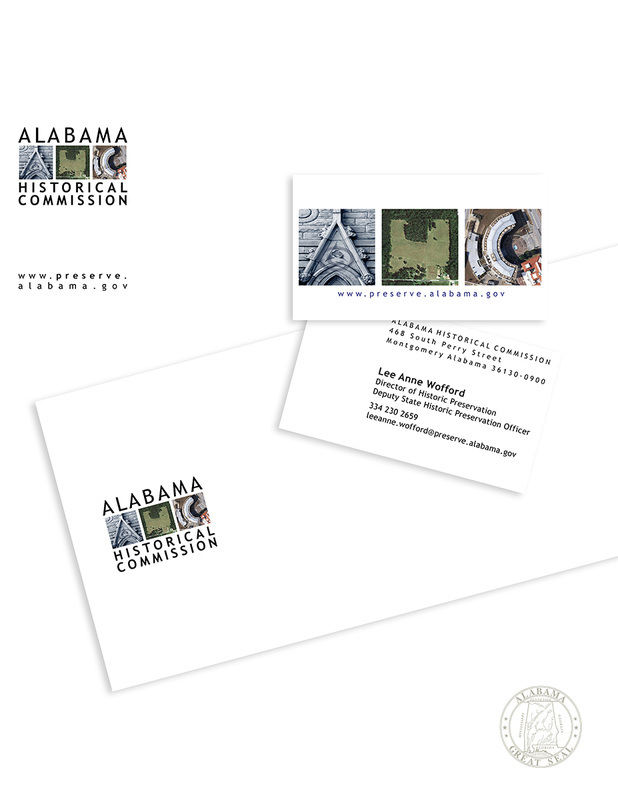 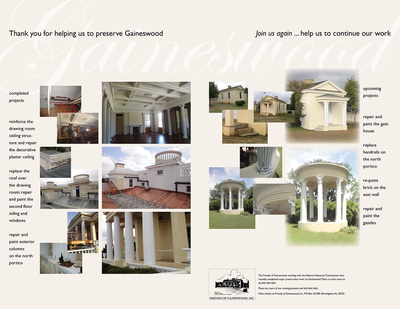 Sponsor solicitation brochure for DesignAlabama. 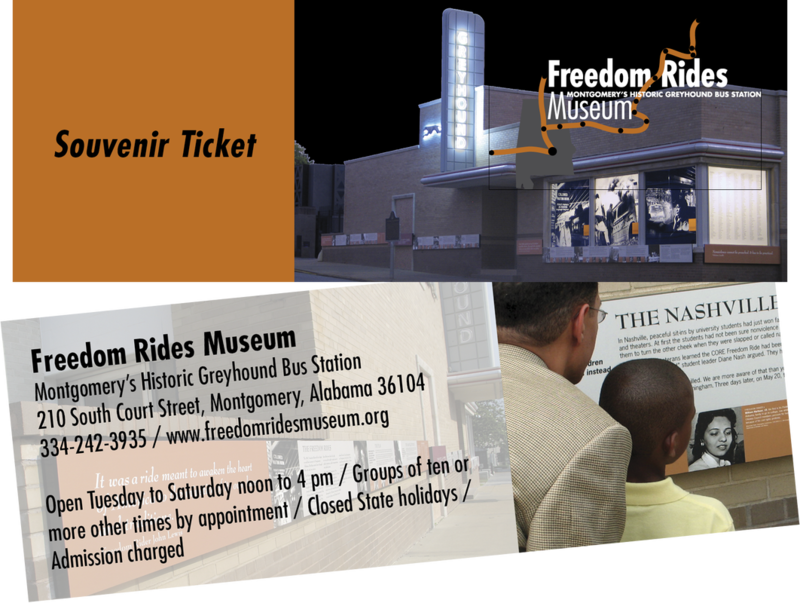 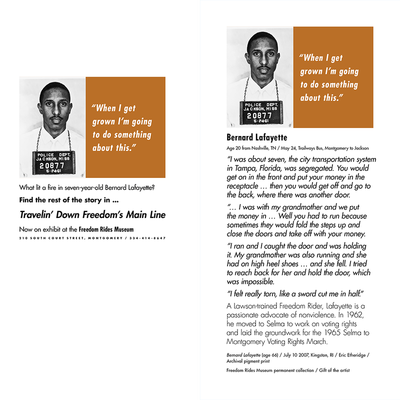 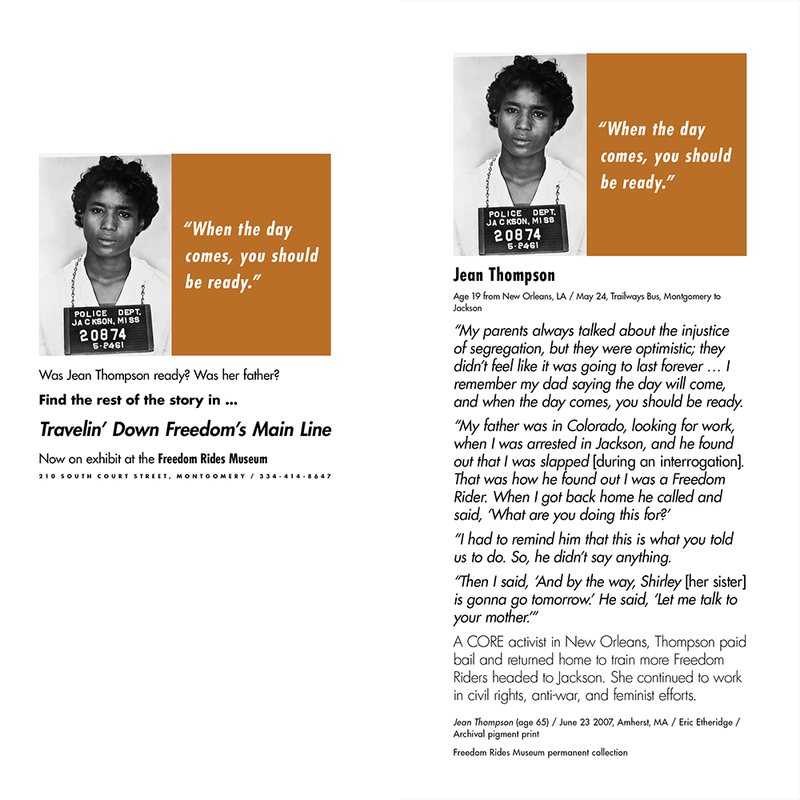 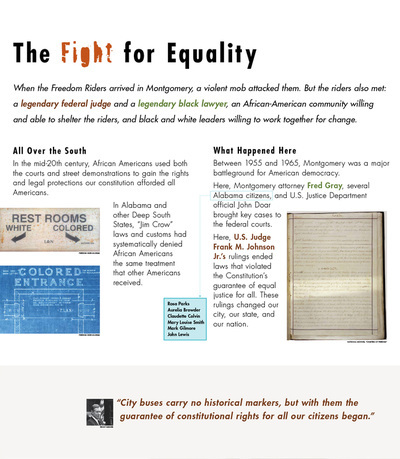 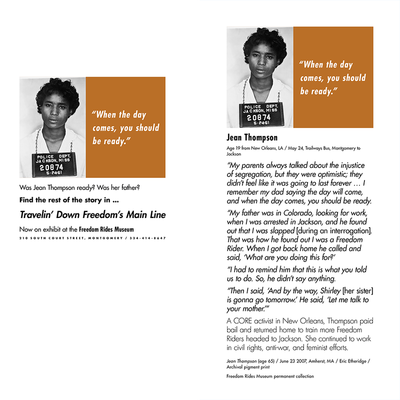 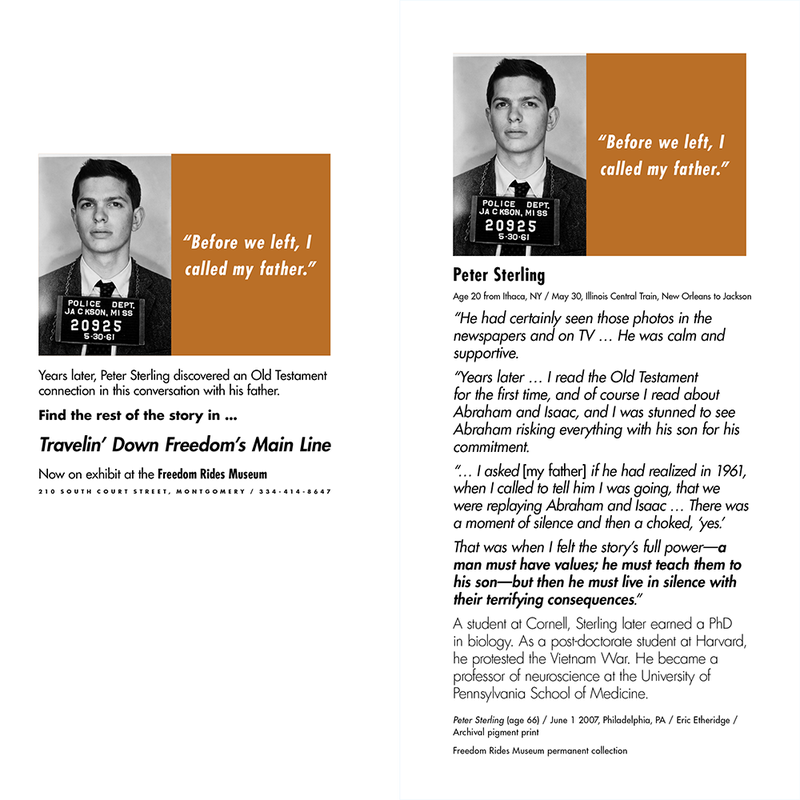 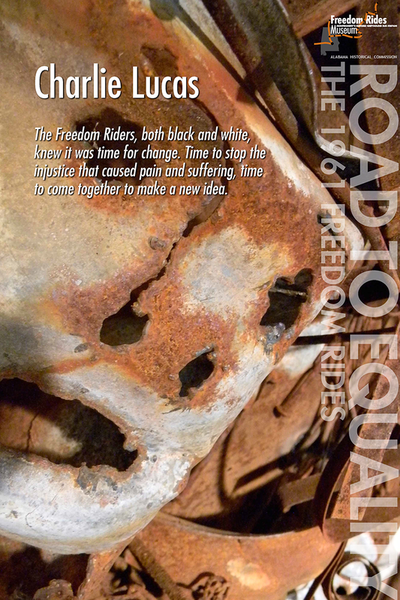 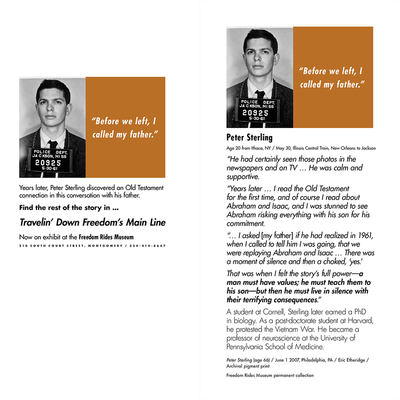 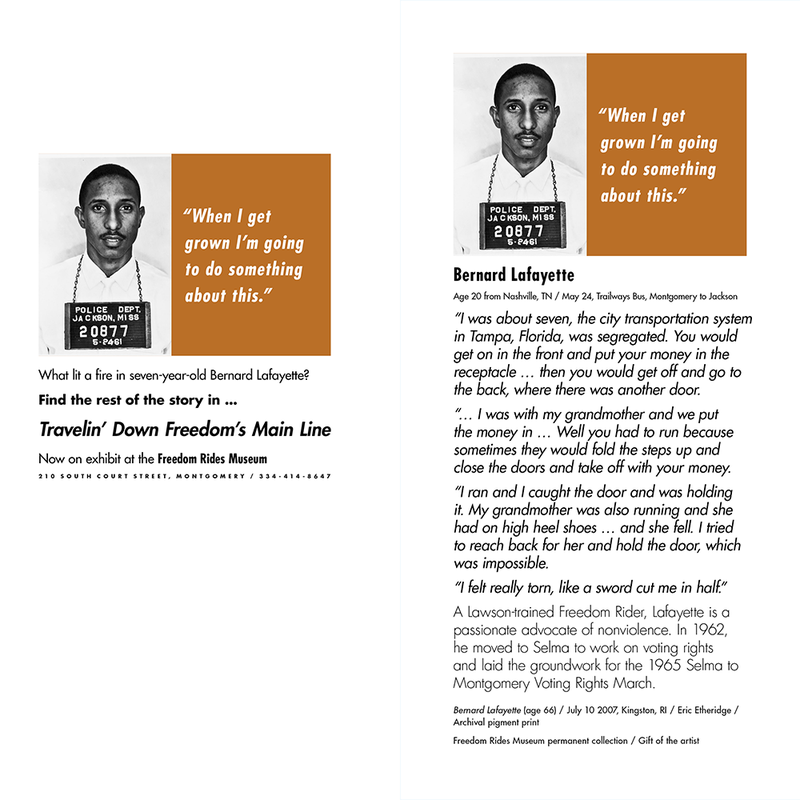 Print ads for a Freedom Rides Museum exhibition side-by-side with related exhibition labels. 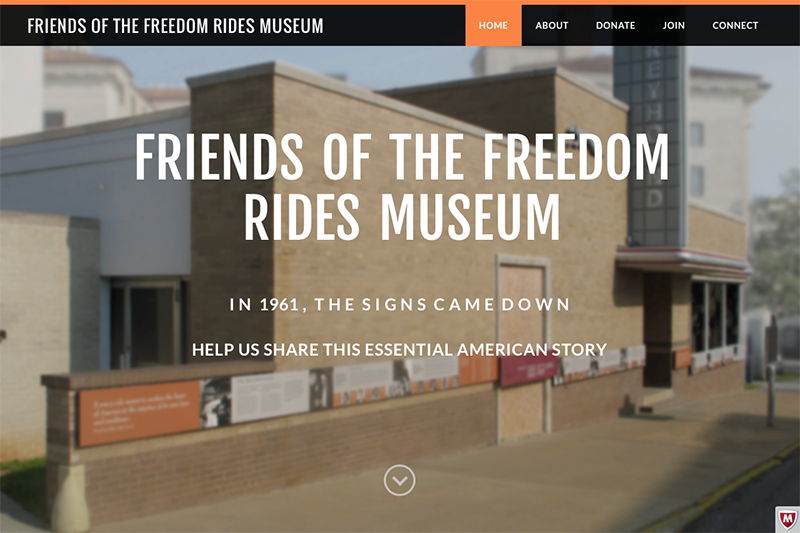 Responsive design web site for Friends of the Freedom Rides Museum. 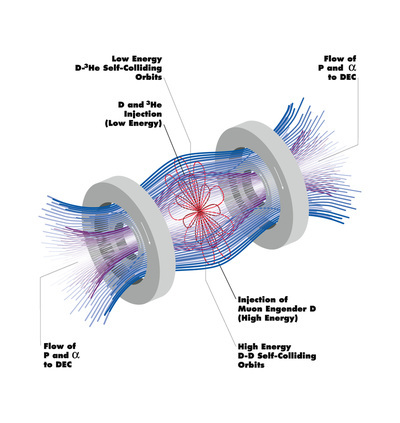 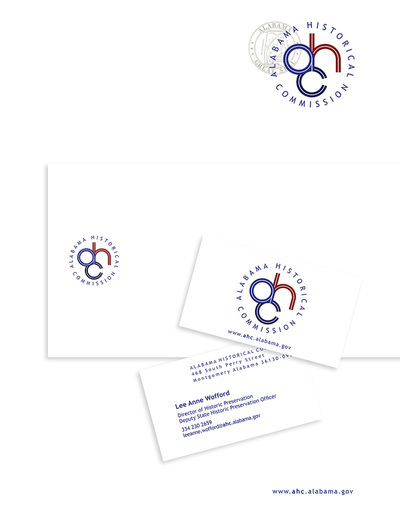 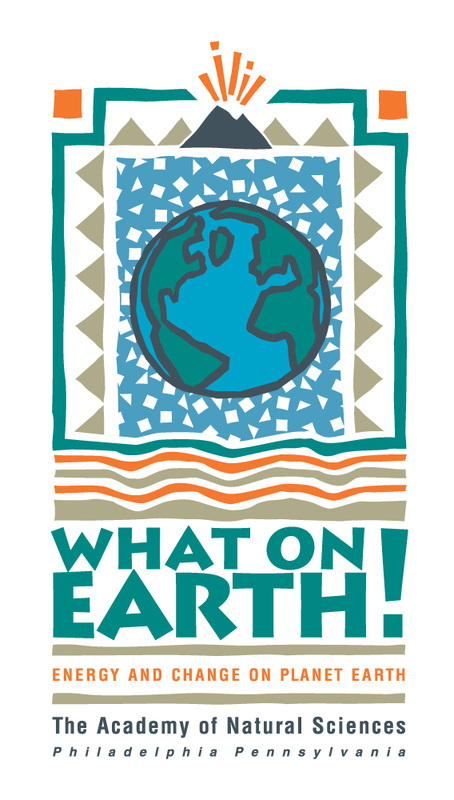 Various small design projects, logos, and illustrations.